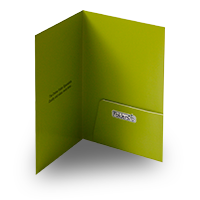 We strongly recommend lamination to prevent cracking in the case of capacity folders where there is heavy ink coverage. 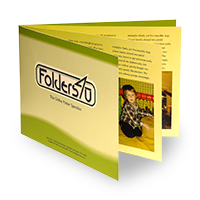 Lamination is a plastic coating applied to printed items, to provide a strong seal and create a heavier, more luxurious feel. 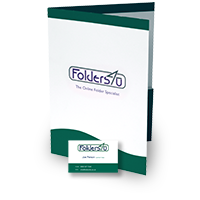 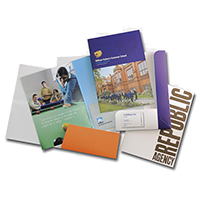 Folders4u currently offers matt and gloss lamination for printed folders, which can be applied to both sides or to the outside only. 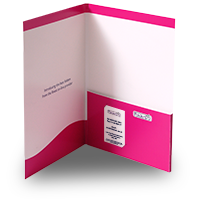 Matt lamination provides a smooth, matt finish, very pleasant to the touch, conveying high quality without showiness, and affording some protection against scratches, fingerprints etc. 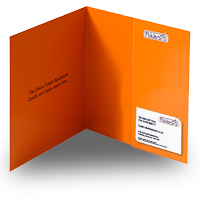 Gloss lamination provides a smooth, high-gloss finish, making for attention-grabbing products, whilst offering superior protection against scratches, fingerprints etc. 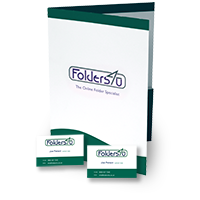 You can select your required lamination option using the drop-down menu above the product’s price table.